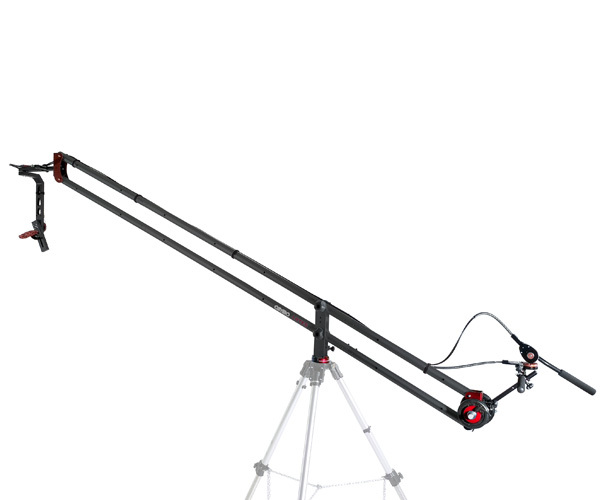 The Artes MPT Video Boom is including Mechanical Pan and Tilt Unit, Screen holder and Extra Weight System. 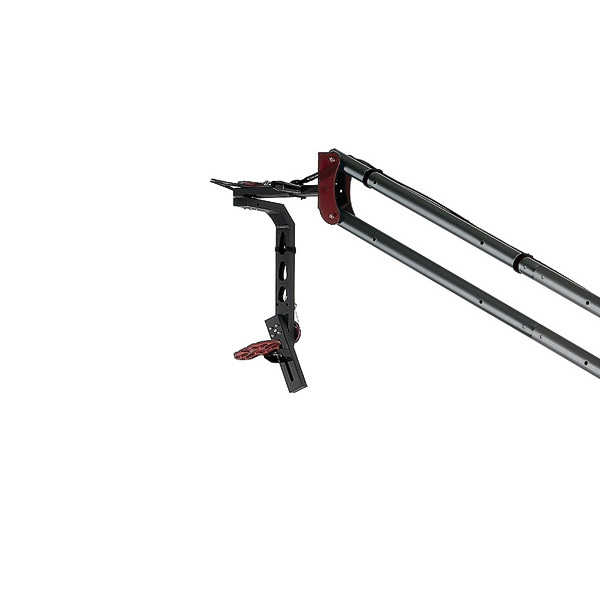 The Artes MPT Video Boom System provides a steady camera platform for the starting videographer. The system is delivered as a kit, partly mounted. After the first set-up, supported by a very clear instruction, there is only one key necessary for quick mounting and de-mounting. 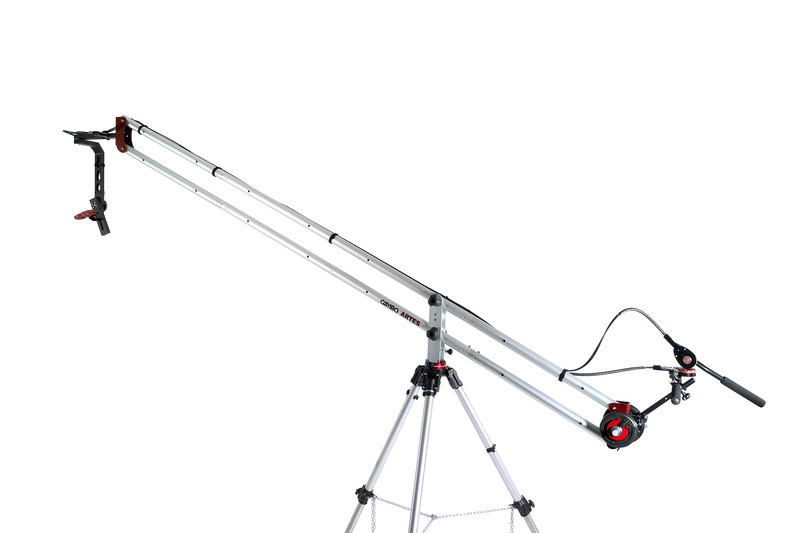 This version of the Artes includes our MPT-9, mechanical pan and tilt unit which is cable controlled. 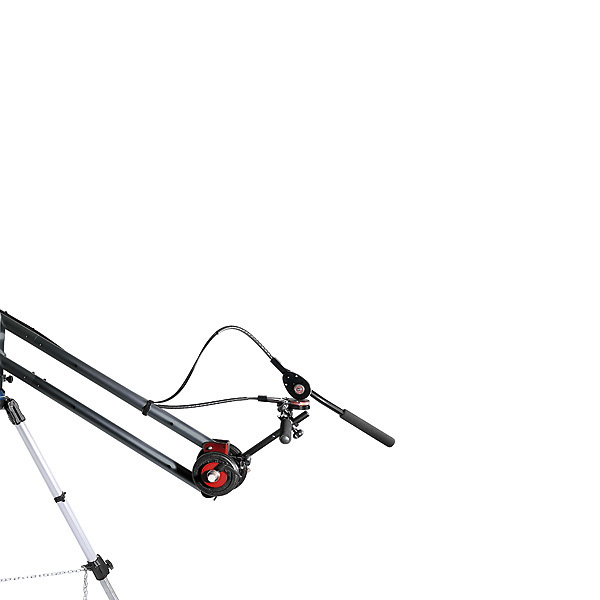 This Kit includes a Manfrotto 132XNB tripod on a MD-114 Dolly. The artes weight system is based on a set of of standard fitness weights (not included) with a set of (included) small fine-tuning weights. The system is expandable and mountable as side weights.